Discover this enchanting restored Traditional home set back from the street and behind a peaceful garden in the desirable Hollywood Hills. Once the long-time residence of renowned composer, Igor Stravinsky, offerings include classic details throughout with hardwood floors, built-ins, original molding, and French doors and windows. Enter into the foyer leading to the elegant step-down living room with fireplace. Large formal dining room, eat-in kitchen with Viking stove, and spacious family room featuring a fireplace, wet bar, and doors opening to the front porch. Beautiful master suite with luxurious bath and charming guest suite with full bath and garden views. Enjoy a large front yard with lovely landscaping, lawn, brick patio, fountains, and covered porch. Gated and fully fenced and hedged, this home offers complete privacy and an ultimately tranquil setting while located just seconds from the heart of the famous Sunset Strip. "This home offers complete privacy and an ultimately tranquil setting while located just seconds from the heart of the famous Sunset Strip." 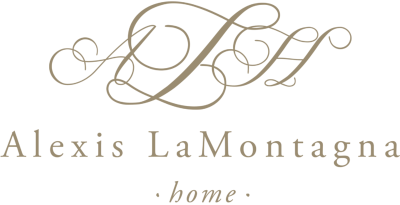 Alexis LaMontagna has been involved in the world of Los Angeles Real Estate for as long as she can remember. Growing up in Beverly Hills, as the daughter of established Real Estate agent Jade Mills, Alexis has acquired a vast knowledge of the local market. Connect with Alexis Today. Sign up now for market updates, design tips, and professional advice. Strictly what you need to know, right when you need to know. loyalty and hard work to her family and clients.